This entry is part 6 of 13 in the series Starfleet Academy. Thus far in my little fanfiction project called “Starfleet Academy,” I’ve come up with the Legacy, namely Kamlyn Sulu. I’ve added in an Outcast, the Cardassian exile named Jessa Atin. Now it’s time to get back to basics. Every Star Trek show has had a fish-out-of-water type of character, an outsider who learns to become more and more human (or humanoid, as it were) with each episode. The Original Series had Spock. The Next Generation had Data. Deep Space Nine had Odo. Voyager did double-duty with the Doctor and, to a lesser extent, Seven of Nine. And Enterprise had…Dr. Phlox, maybe? Or maybe T’Pol? Okay, so the pattern hasn’t exactly held, but it’s still a trope for most Star Trek shows to include this character. I’m not one to buck tradition, so I would want to include this kind of character as well. Only when I thought about it, I was a little stumped. We’ve had an alien-human hybrid, two artificial lifeforms, and two unique aliens. So what would be left? What new ground could we cover? And then I thought of it. What if our out-of-water character wasn’t just out-of-water, but out-of-time? But since I’m dead-set against any sort of temporal cold war nonsense, we’ll have to go, not to the future, but to the past. 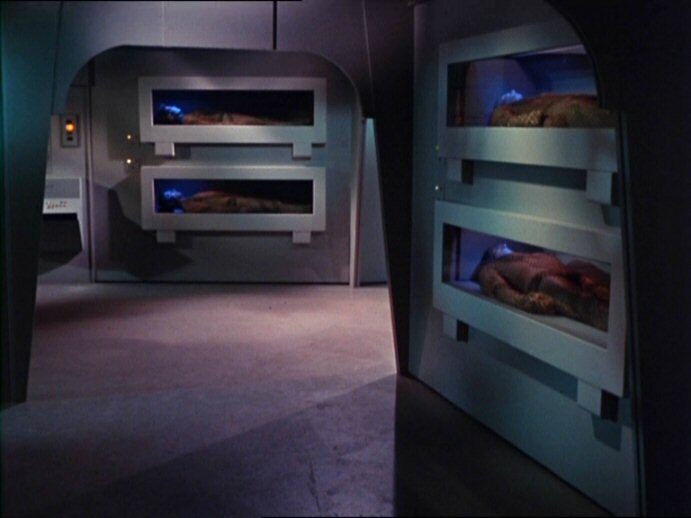 We know that in the Star Trek universe, cryogenics is totally a thing and that it actually works. It’s shown up in two episodes that I can think of off the top of my head and featured prominently in two of the movies one of the movies and the other one that blatantly ripped it off. So let’s suppose that one day, some folks find another cryogenics chamber and inside is one of the finest mind the 21st century had to offer. I mean, that’s never turned out badly, right? More specifically, they find a young man named Herschel Williamson (thank you, random name generator!). Herschel was born in the mid-21st century and he was a prodigy unlike any other. He graduated with honors from MIT at the age of 10. He routinely left his professors in his intellectual dust. If he had been around in the 2060s, he would have easily beat Zefram Cochrane in a race to build a warp drive. He would have even figured out how to build a Warp Four engine without the “help” of the Vulcans too. So what happened? He contracted terminal boneitis an incurable disease. His friends took up a collection to have him cryogenically frozen in the hopes that some day, he could be cured, revived, and be a benefit to humanity in the future. Herschel remained frozen for close to two hundred years until a Federation scientist found the cure for his condition (if I had my druthers, it’d be the Doctor and be based on his research on the Vidiian Phage). Herschel was defrosted, but rather than be the bright shining beacon he once was, he’s found that in some ways, he’s behind the curve. His brilliant theories have not only been realized, they’ve been surpassed. Unsure of what else to do with himself, Herschel applied to Starfleet Academy. Recognizing his potential, the bigwigs let him in. Herschel would have a lot to learn, not only about the tech and science he’s missed, but about the many ways that humanity has evolved and changed since his day. He’d be drawn to Jessa as another outsider, but at the same time, secretly terrified of the aliens around him. There would probably be lots of times he’d want to just pack it in and quit. Wesley Crusher, out on his journey through space and time, manages to sneak home one day and encounters Herschel at Starfleet Academy. The two of them have a lot in common. They’re both prodigies who maybe aren’t always so appreciated. Both have been in Starfleet Academy. The key difference is this: Wesley walked away. He doesn’t regret his decision at all. It was the right thing for him. But here’s the thing: he has some insight into future events (after all, he’s kind of like a Time Lord sans the TARDIS), and he knows that Herschel is still capable of doing some incredible things. He just needs to stick with it and stick with his friends. 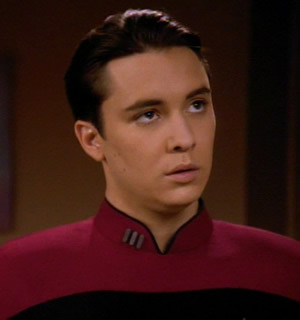 I think it’d be cool to see Wesley back in Star Trek, especially with Wil Wheaton’s great beard. Next week, I’ll reveal the final main character idea I have. Who is it? Well, it’s someone that we haven’t seen for a while, someone who I initially overlooked but, once I did the math (the real math this time), someone who I realized has to be in this show. Come back next week and find out who it is. And in the meantime, please let your friends know what we’re up to here and let me know if you have any thoughts in the comments below! Confess & Believe: Take a Stand! Unique and unexpected, the idea of having a near-future (to us) human as the Outsider is rings true. It feels very legitimately [i]Trek[/i] and has a lot of thematic potential. I couldn’t have thought of anything remotely similar. But Crusher. He’s a terrible Mary Sue. He’s a winy spoiled kid, and I don’t think we ever really got to see any significant character development on-screen. Near the end of his arc, he’s still a mopey, spoiled Mary Sue. I know he has legitimate problems — like growing up without a father — but it just wasn’t portrayed right. He always seems pandering, thankless. The end of his arc was rather miserable, in my opinion. Spoiled prodigy gets invited to become a demigod, and neatly gets to avoid office politics and the daily grind and human social problems, while waiving goodbye to his mother. Still, his use as a foil for an Outsider to whom he relates is a good idea, because Wesley himself is like the ultimate anti-Outsider. He’s as entitled and “inside” as he could possibly be. Maybe [i]now[/i] he’s an outsider, and maybe that affects the way he relates to Herschel. I’m not a Trekie, but this sounds really cool. I like the plotline with the scientist from the past.